Did you know the electrical exam for the master license and the journeyman license are computer based? Well, you do now. I have seen many guys make mistakes on the field but they have the chance to learn and correct themselves for next time. 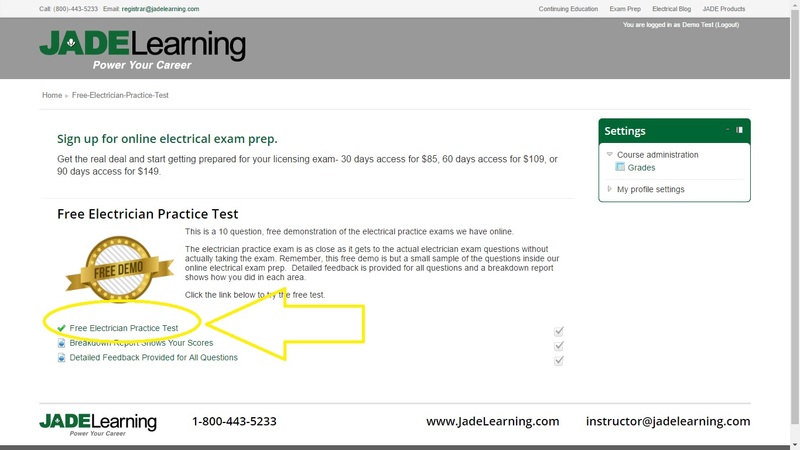 But do you really want to learn the hard way how to take this computer-based exam and take it over and over again until you pass it? Or do you want to take it, pass and get on with your life? I think you are just like me so I'm going to assume you said yes to the second question. 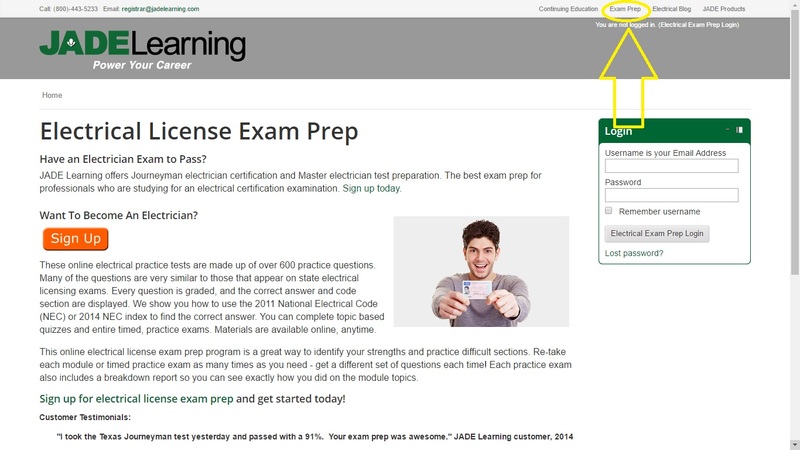 Many guys I talk to are busy reading exam prep books and going to seminars like they should be doing, but they forget to prepare for the exam another crucial way. 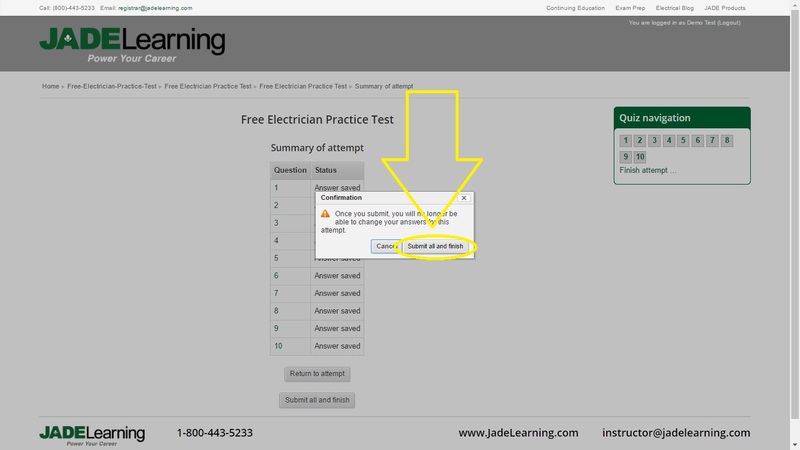 These electricians forget to practice taking a simulated exam using the computer! So when the real deal comes, they find themselves in unfamiliar settings and lose precious time trying to get acquainted with the way the questions are presented to them on the computer screen. 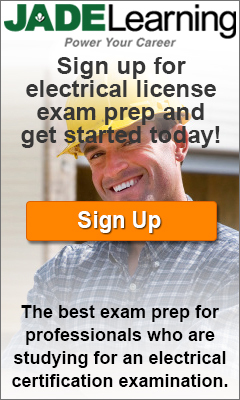 Don't make this mistake when you sit down to take your electrical license exam. 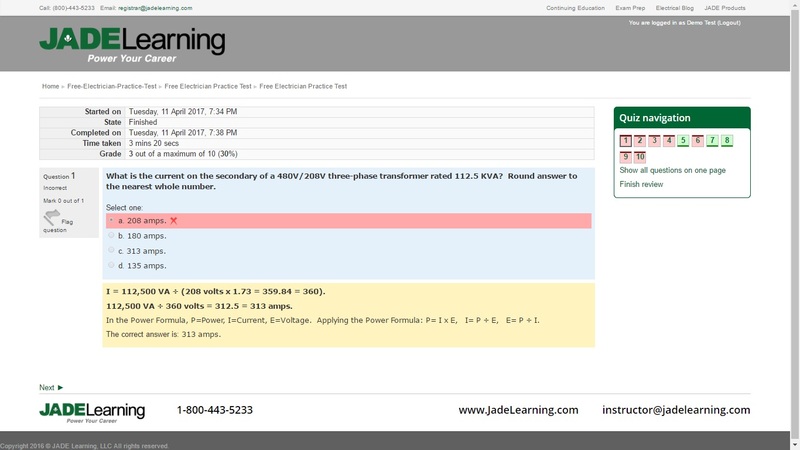 There are great programs out there that can help you practice taking your master electrical exam or your journeyman electrical exam on the computer. 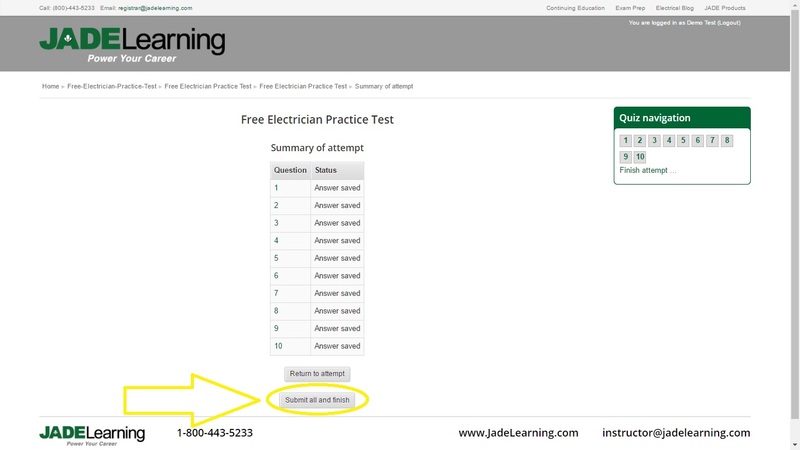 Today I focus on Jade Electric's online electrical practice exam. 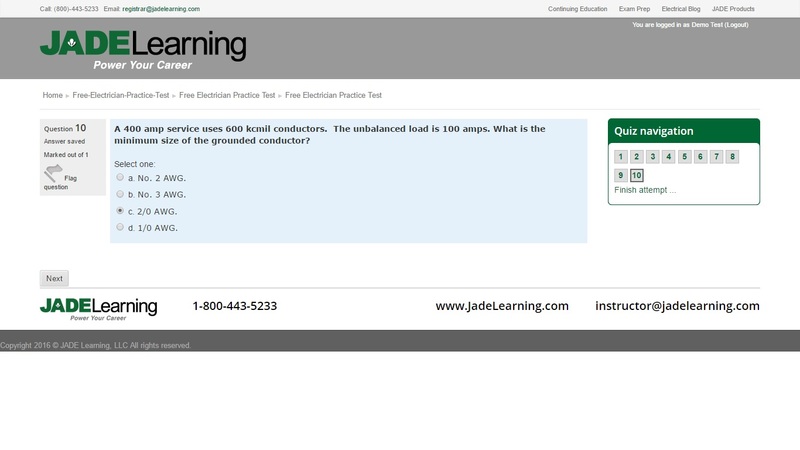 This website has hundreds of questions specific for the exams in California, North Carolina, and Texas. 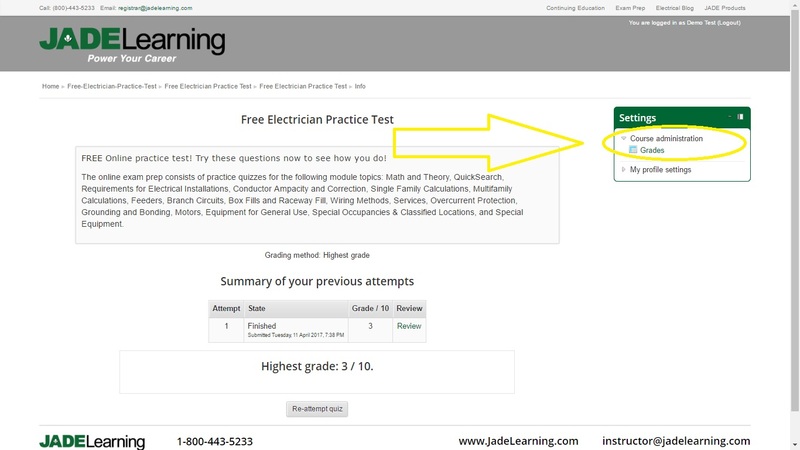 The unique feature of this program is that you are graded based on the categories presented in the real exam and you will be given a breakdown report so you can see your strengths and weaknesses in each category. 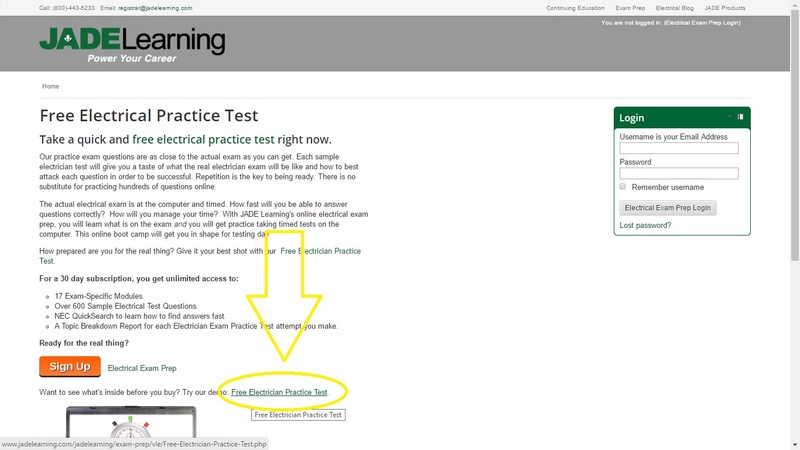 I wrote this blog to help you sign up for the FREE Demo exam so you can poke around and take a 10 question test free. 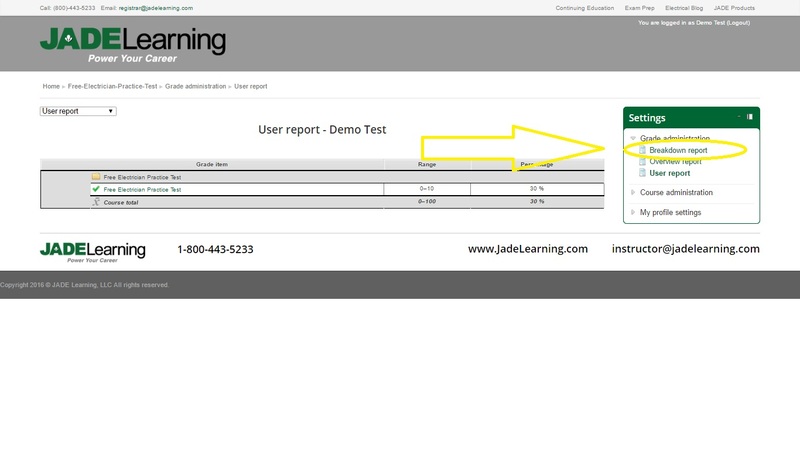 You don't have to give them your email or credit card information, this is just for you to see how it works. You are under no obligation whatsoever to buy this program. 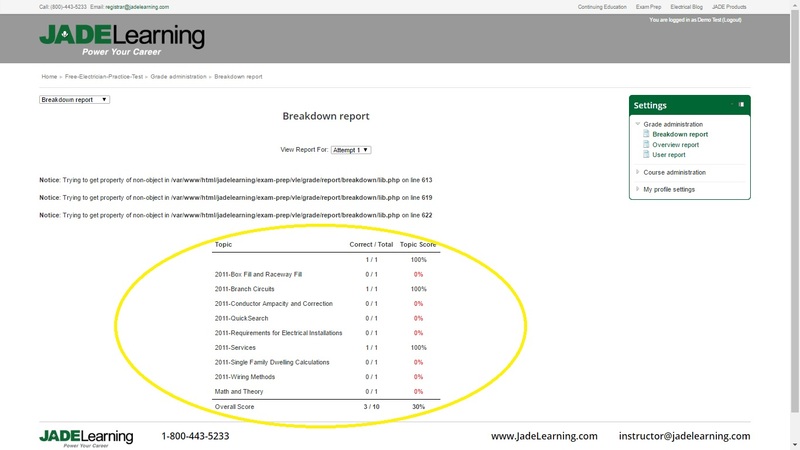 There are many great programs you can try but it's my job to find the best options for you. So check it out and let me know what you think. 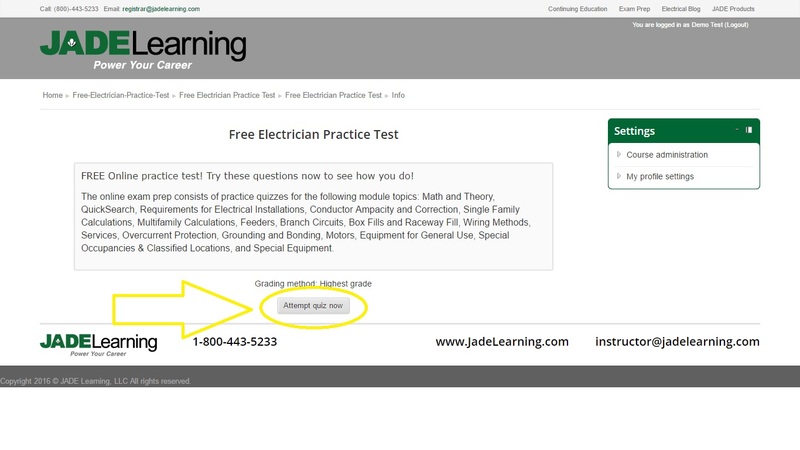 Follow the arrow and click on the link. 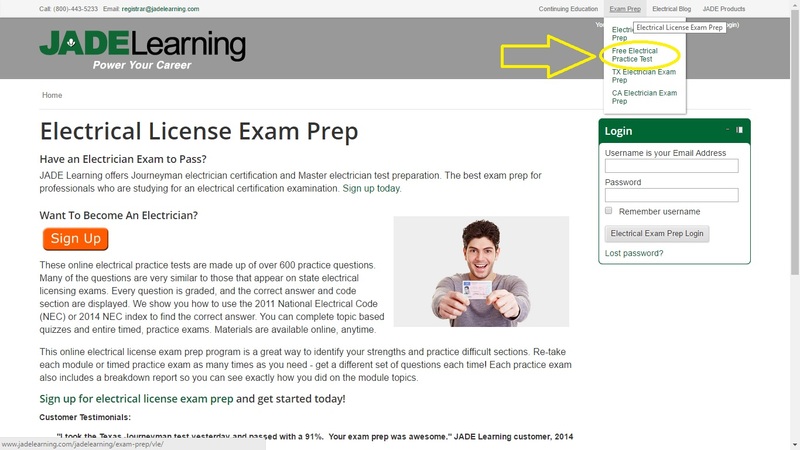 As always, if you have any exam prep tips you feel could be used on this website, send us and e-mail so we can share your tips with other electricians. Don't forget to subscribe to our newsletters below. You can always find all of the rules and procedures on PSI and TDRL. Links are here and here. 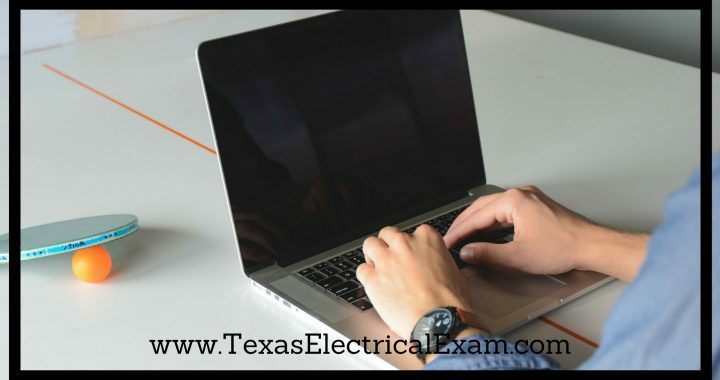 Posted in Exam prep and tagged 2014 nec, code book for electricians, how to pass the exam, journeyman psi exam., master electrician, master exam electrical exam, texas electrical exam. *Affiliate Disclosure* Posts within this website may contain affiliate links, which means we receive a small percentage if you make a purchase using affiliate links. We only support affiliates we believe have quality products and services for our readers.